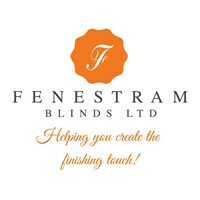 Fenestram Blinds Ltd - Curtains/Blinds/Shutters based in Higham Ferrers, Northamptonshire. We, at Fenestram Blinds Limited are happy to introduce our Made to Measure Blinds, Shutters Curtains & Accessories products at very competitive prices, also providing a blind repair and maintenance service with the promise that we will repair before replace! We cover all Northamptonshire, Bedfordshire, Cambridgeshire & Leicestershire. We are not a franchise and we are committed to provide you with one point of contact throughout the entire order process. With over 20 years experience in the industry we have built up a fantastic reputation for customer service and satisfaction. Fenestram Blinds supplies and installs a huge range of high quality Blinds & Curtains across all commercial sectors including: Hospitality, Healthcare, Education, Commercial, Offices, Retail Environments. Our staff are DBS Checked as Standard! Visit our website to see all the type of blinds and services we provide and feel free to give us a call to discuss your requirements. Please feel free to visit our Twitter and Facebook pages! Bedfordshire, Cambridgeshire, Corby, Huntingdon, Kettering, Milton Keynes, Northamptonshire, Peterborough, Raunds, Rushden, Wellingborough, Newport Pagnell, Leicester, Market Harborough, Desborough.